Susana Vacas, MD, PhD is a Neuroanesthesiologist at the University of California, Los Angeles (UCLA). She completed her PhD at University of California San Francisco (UCSF) in 2014, where her experiments focused on the mechanisms and risk factors of delayed cognitive recovery. She authored a number of influential studies and currently holds a patent on the modulators of the Integrated Stress Response, eif2alpha pathway, which is capable of mitigating postoperative memory decline. 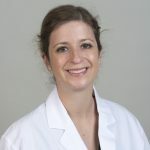 Incorporating her bench work, Dr. Vacas seeks to improve outcomes after Neurosurgery by blocking and/or alleviating perioperative exacerbated inflammation and brain lesion. By studying vulnerable populations, such as patients with obstructive sleep apnea, she hopes to better understand the pathogenic mechanisms behind cognitive dysfunction and develop a bioassay for all prospective surgical patients. Dr. Vacas is the Neuroanesthesia Fellowship Program Director at UCLA and takes great pride in teaching and mentoring residents, research fellows and medical students throughout the world.